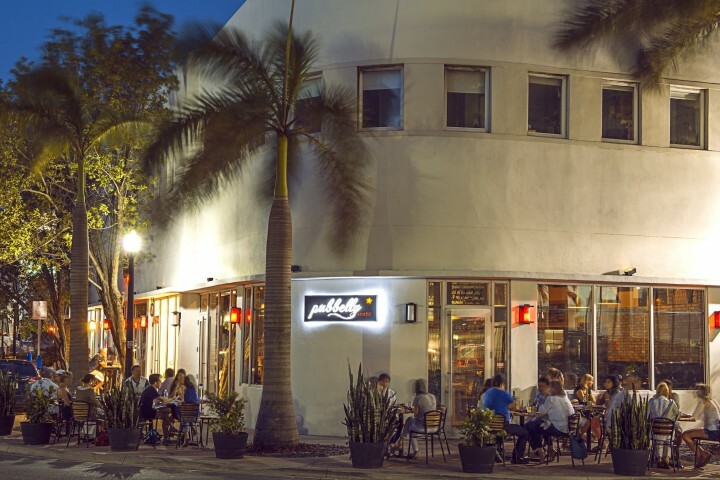 While Miami nightlife centers on South Beach, other areas now offer food and beverage options that make it worth staying on the mainland. The appeal of Miami has always been its tropical climate combined with a 24-hour party culture, driven by high-volume hot spots, flashy fine dining and luxury hotels—often under one roof. Hotels like the Fontainebleau Miami Beach, the SLS Hotel South Beach, the W South Beach and the new Miami Beach Edition house restaurants by such celebrity chefs as Michael Mina, José Andrés, Andrew Carmellini and Jean-Georges Vongerichten, along with bars, nightclubs, and even a bowling alley and an ice-skating rink. Tourism, of course, is a huge revenue driver for the city. “While domestic visitors are attracted to Miami’s nightlife and South Beach area, international visitors are particularly fond of the region’s shopping and restaurants,” says Rolando Aedo, senior vice president of marketing and tourism for the Greater Miami Convention & Visitors Bureau. Travelers are also drawn to the city’s annual events, such as Art Basel Miami Beach in December, the South Beach Wine & Food Festival in February and the Winter Music Conference in March. Pubbelly Sushi in South Beach focuses on wine and sake. Just over the bridge from South Beach is Downtown Miami, which has undergone significant development in recent years. 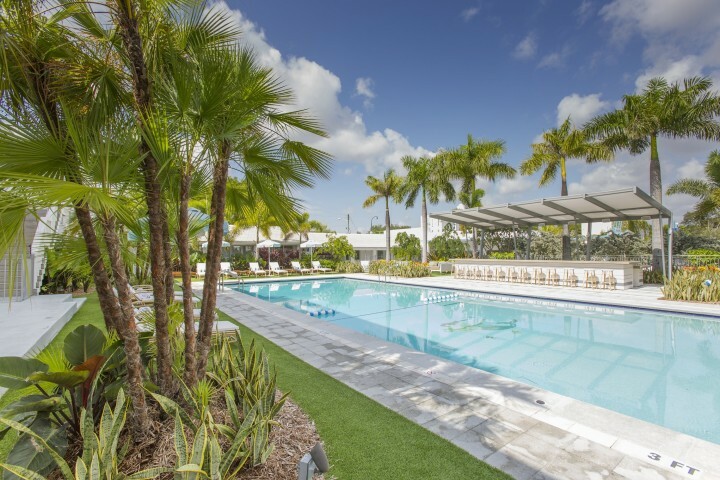 The modern 243-room Yve Hotel Miami opened in December and offers the trendy Biscayne Tavern, a new restaurant from China Grill Management owner Jeffrey Chodorow. This spring, The Langford hotel will debut in the historic Miami National Bank building, with 110 rooms and two new venues from Pubbelly Boys, operators of the Pubbelly, Pubbelly Sushi, Barceloneta and L’Echon Brasserie concepts. Housed in a former bank vault, PB Station will be a reincarnation of Pubbelly’s now-closed PB Steak and will also highlight seafood. “It’s our foray into what we call a craft American eatery,” explains founding partner and managing director Andreas Schreiner. “The wine program will be very American, but we’re going to stick to what we’ve been doing—small, boutique vineyards, with a focus on value and affordable wines under $70.” The cocktail program will emphasize American spirits like Spring 44 gin, High West whiskey and Tito’s Handmade vodka. The other venue is the rooftop bar Pawn Broker, which will feature classic cocktails steeped in American history. 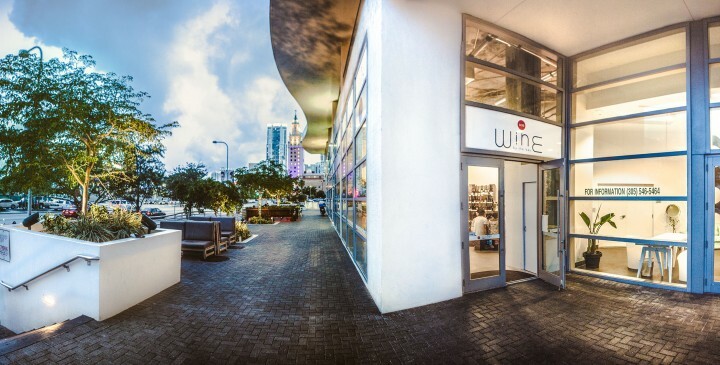 Art dealer–turned–wine retailer Stefano Campanini recognized the growth potential for Downtown Miami when he opened Wine by the Bay in January 2012. The store stocks 300 wines ranging from $12.95 to $1,200 a 750-ml. bottle, with a focus on high-end offerings from Italy, France and California. “The sweet spot is between $100 and $150 a bottle,” Campanini notes. The shop also features events ($95 a person) that attract wine lovers from all over the city, including a tribute to the late Lebanese winemaker Serge Hochar and a Penfolds tasting presented by “Somm” star DLynn Proctor. Another destination is Wynwood, an area north of Downtown that has exploded with art galleries, restaurants, bars and breweries. Gersten launched Gramps as a neighborhood spot that focuses on offering quality cocktails and craft beer at low prices. “I wanted to do something that went against the speakeasy trend,” he explains. “So I thought, ‘Why not keep the best of the cocktail world—house-made juices, flavorings and syrups, fresh garnishes, and better spirits—but without the seriousness.” Enlisting the help of New York City mixologist Richard Knapp, Gersten put together a solid list of simple yet well-made drinks ($5 to $12) that work in a high-volume bar environment. The menu is supplemented by weekly specials like the Con La Reina, which mixes New Amsterdam gin, Cointreau orange liqueur and raspberry preserves. The strategy seems to be paying off: Gersten plans to open two more venues—including a full restaurant on the Miami River—within the next couple of years. Additional neighborhoods are seeing a flurry of new development as well. Just south of Downtown is Little Havana—the center of Miami’s significant Cuban culture—where cocktail bars like Blackbird Ordinary, Ball & Chain and Sidebar have opened in the last few years. The adjacent affluent areas of Brickell and Brickell Key feature upscale restaurants, such as Naoe, Edge Steak & Bar, and La Mar by Gastón Acurio in the Mandarin Oriental Miami hotel. “We get a broad range of clientele, including CEOs, celebrities and Miami residents,” says Steve Minor, manager of MO Bar + Lounge in the Mandarin Oriental. Further to the north is MiMo, which stands for Miami Modern and extends along Biscayne Boulevard. 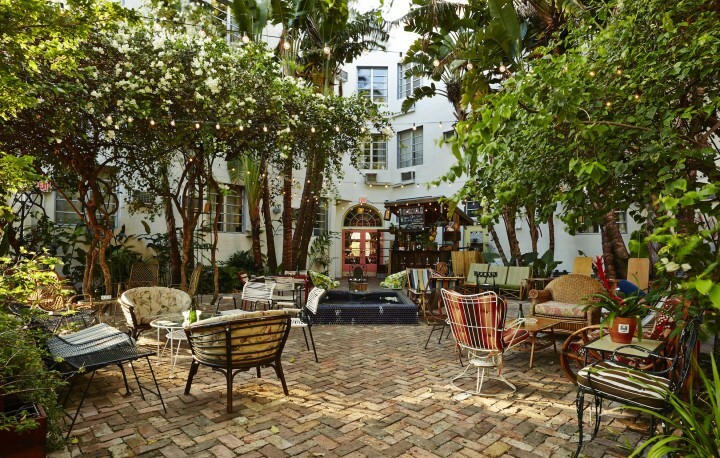 The historic Vagabond Motel has been revamped into a stylish boutique hotel housing an eponymous restaurant and bar helmed by up-and-coming chef Alex Chang. Nearby, The Federal Food, Drink & Provisions has been featured on Food Network and Bravo. Meanwhile, the hospitality group 50 Eggs Inc., which operates notable venues Yardbird Southern Table & Bar, Swine Southern Table & Bar and Khong River House, will open a 25-seat fine dining spot in a 1930s-era hotel in MiMo this summer. “It’s a very high-end restaurant that Miami hasn’t seen before from a food and service perspective,” 50 Eggs CEO John Kunkel explains. Craig DeWald also saw opportunity in the area and launched Uvaggio wine bar in March 2014. “It’s a mature, affluent community, so you’ve got a higher median income and more customers within a concentrated locale,” he says. “The Miracle Mile is a pedestrian-friendly walkable street, so you get a lot of foot traffic.” DeWald adds that the nightlife scene is active, especially on weekends. “Over the last three years, the crowds are coming back to the Mile, driven partly by a change in the mix of shops and restaurants, as well as the building of new condominiums,” he says. Styled after a 1930s-era cocktail bar, The Regent offers classic drinks ($14) with a tropical twist. “The Old Fashioned is the most frequently ordered cocktail, as well as the Moscow Mule,” Cabrera says. The venue’s signature drink is an ever-changing cocktail called The Regent Punch, which currently features Mount Gay Black Barrel rum, Angostura bitters, honey-ginger syrup, lime juice and mint leaves, topped with ginger beer. “Bourbon, gin and rum are popular spirits now in Miami,” Cabrera adds. MO Bar’s Minor has seen a shift toward rum, Bourbon and rye whiskey as well. “I believe that Bourbon and rye are having a renaissance due to the revival of classic, Prohibition-era cocktails,” he explains. “Rum is also being reborn due to its potential to work well in drinks like a Rum Old Fashioned or Rum Manhattan.” Minor predicts that mezcal and gin will be the next hot spirits trends. Both Pubbelly and 50 Eggs have found success with gin cocktails at their venues. Barceloneta has an extensive menu of Gin Tonics ($12 to $14) that features specific brands paired with complementary flavors, such as Hendrick’s gin with cucumber, mint and guindilla chili pepper or 50 Pounds gin with fresh pineapple and star anise. 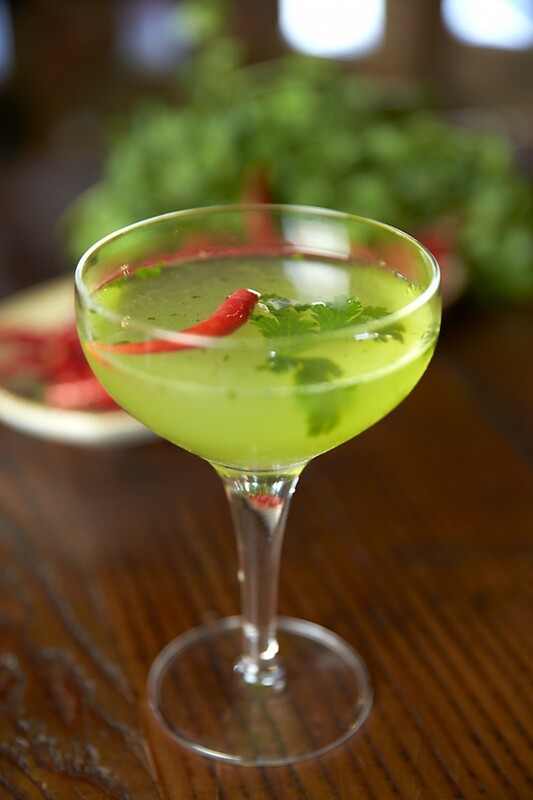 Khong River offers Southeast Asian cuisine and gin cocktails like the Kha Chili ($12), made with Bombay Sapphire East gin, lemongrass syrup, fresh lime juice, galanga, cilantro and bird’s eye chili. “Gin works great with bright and spicy flavors,” Kunkel says. At Southern-focused Yardbird, the best-selling cocktail is the Blackberry Bourbon Lemonade ($12), made with Buffalo Trace Bourbon, fresh lemonade, blackberries and cardamom, while barbecue joint Swine emphasizes rye whiskey and rum. Rosy Barrios, a manager for the three-unit retail chain Vintage Liquor, also reports an increase in Bourbon sales, though vodka and Scotch whisky are still the top-sellers. The stores stock roughly 4,000 spirits SKUs ($7.99 to $26,000 a 750-ml. bottle), along with 1,000 wines ($7.99 to $2,000) and about 100 beers ($5.99 to $26.99 a six-pack). The Midtown location, which opened in 2010, features a full bar offering wine, spirits and beer. “We are the first liquor store in Miami to sell and serve on-premise,” Barrios says. Her father, Nick Barrios, launched the flagship unit in Miami’s Pinecrest neighborhood fifteen years ago, and the third store debuted in Brickell in 2012. At Batch Gastropub, which opened in Brickell just over a year ago, owner Kevin Danilo decided on a batching system for his drinks program. “We wanted to make sure every product we sold was something we were proud of and not just geared toward pumping out drinks quickly to meet high-volume demand,” he explains. The venue offers eight draft cocktails ($11 to $14) that are mixed in 5-gallon batches, preserved in stainless steel kegs, carbonated and served on tap. The most popular batched offerings are the 305 Collins, blending mint-infused Absolut vodka, fresh passion fruit and house-made lemon soda, and The Entourage, comprising jalapeño- and pineapple-infused Avión Silver Tequila, pink guava and lemon juice. The upscale shop Wine by the Bay in Downtown Miami sells a large amount of Champagne, Burgundy, Bordeaux and California cult labels. While spirits and cocktails dominate in Miami, wine seems to be on the upswing. “More people are starting to appreciate wine, so the trend is upward,” Wine by the Bay’s Campanini says. Surprisingly, his wines sales split is 80-percent red to 20-percent white, “in spite of Miami weather,” he quips. Campanini adds that the store sells primarily Bordeaux and Burgundy offerings, California cult labels, and wines from Tuscany. Champagne is also big. “It’s a strange store because we carry around 50 different Champagnes, but it’s working because people come to try new labels,” Campanini says. Schreiner has also noticed a penchant for red wine at the Asian-influenced Pubbelly and Pubbelly Sushi restaurants. “At first, I was really heavy on the whites because of the food,” he explains. “It started to change when I noticed that customers, especially Latin Americans, wanted to drink reds.” Carménère, Tempranillo, Malbec and Cabernet Sauvignon from Chile and Argentina do particularly well. Meanwhile, at L’Echon, the wines consist of 70-percent to 80-percent French offerings. At Mandarin Oriental Miami, wine director Todd Phillips reports slightly different trends. “White wine is huge in Miami, and so is Champagne,” he says. Albariño is popular at the Peruvian-influenced La Mar, along with Sauvignon Blanc and Chablis, while Cabernet Sauvignon and Pinot Noir are top-sellers at Azul, as are red and white wines from Burgundy and Bordeaux. Uvaggio carries about 140 wines by the bottle, ranging from $27 to $500, and the sweet spot falls between $40 and $75. “We’re as comfortable with France and Italy as we are with Slovenia,” Porter says. “We get off the beaten path a little bit.” As part of his mission to introduce guests to new labels, Porter offers roughly 40 wines by the glass ($4.50 to $10 a 3-ounce pour; $9 to $20 a 6-ounce pour). Uvaggio also hosts wine tastings every Saturday that revolve around a grape, region or topical theme, such as female winemakers for Mother’s Day. “The fun factor is what’s a little bit different here,” DeWald says. A slew of local craft breweries have recently launched or will soon debut in Miami, including Wynwood Brewing Co., J. Wakefield Brewing, Concrete Beach Brewery, Gravity Brewlab and MIA Brewing Co. “The weather is conducive for beer, and it’s become a part of everybody’s daily lifestyle,” Pubbelly’s Schreiner explains. The restaurant has a heavy beer program featuring craft brands from all over the world. “It was one of the first craft beer lists in Miami,” Schreiner says. Pubbelly is currently collaborating with Gravity to launch a cross between a hefeweizen and a Belgian wheat that will be sold in all of the company’s venues. 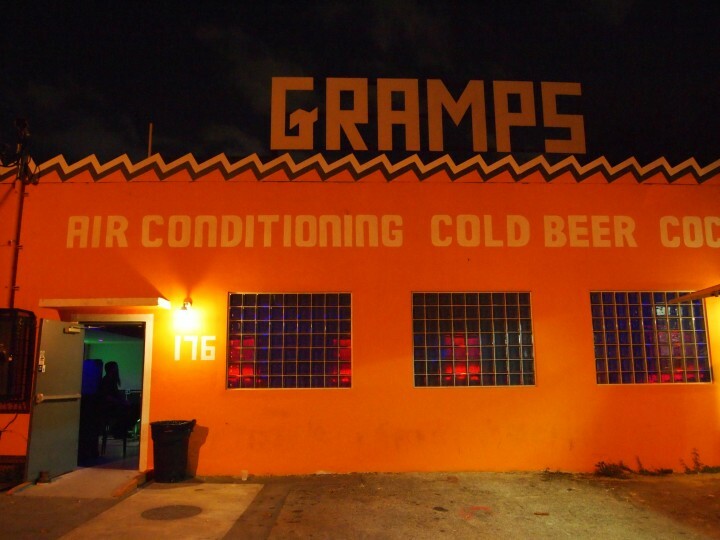 Gramps also has a strong beer list, with a focus on local brands, crafts and Belgian brews. “We have 12 taps and decided there are a few things we can’t live without, such as Brooklyn lager, Fat Tire amber ale and Magic Hat #9 pale ale,” Gersten says. “We leave three to four taps just for the neighborhood breweries.” Prices range from $6 to $9 a pour or bottle. Batch Gastropub features 14 beers on tap ($6 to $7.50 a pour), along with roughly 20 brews by the bottle ($4.50 to $7.50). About 30 percent of the list comprises Florida offerings, including Funky Buddha Floridian hefeweizen from Oakland Park, Cigar City Jai Alai IPA from Tampa and Due South Caramel cream ale from Boynton Beach. “Draft beer is king, and the most popular ones are our Florida beers,” Danilo says.